Automatic Submerged welding technology, ultrasonic nondestructive testing, both manual and the automatic safety devices. 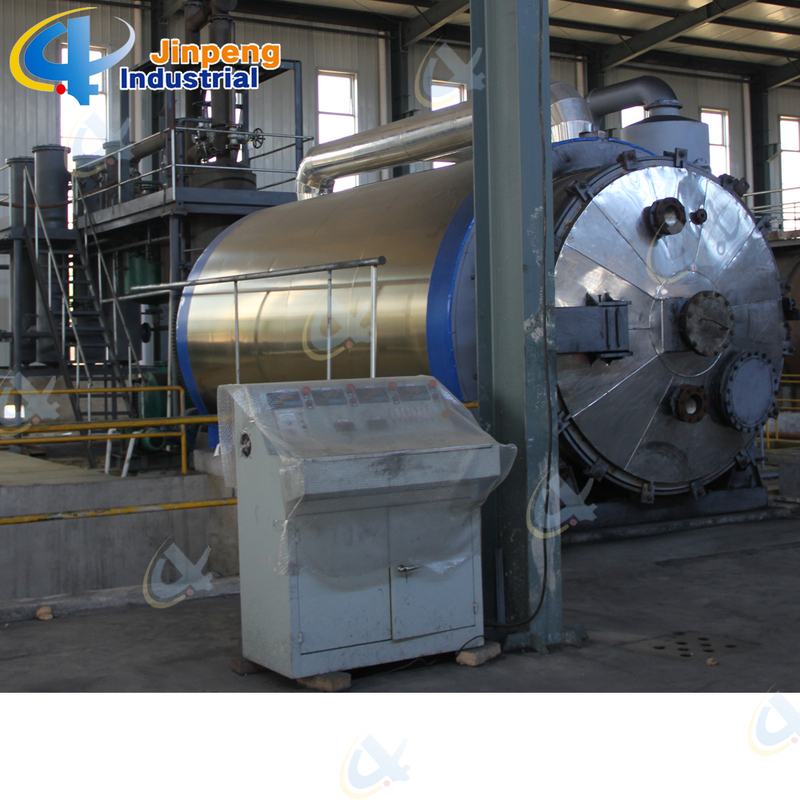 Full open door design: Speedy loading in and steel pulling out; Easily cooling down after one batch finished, saving time; No leaking with special high temperature flexible graphite packing. Unique Craft Condensers: High condensing efficiency with more oil output. Good quality oil, longer lifetime, and easy to clean. 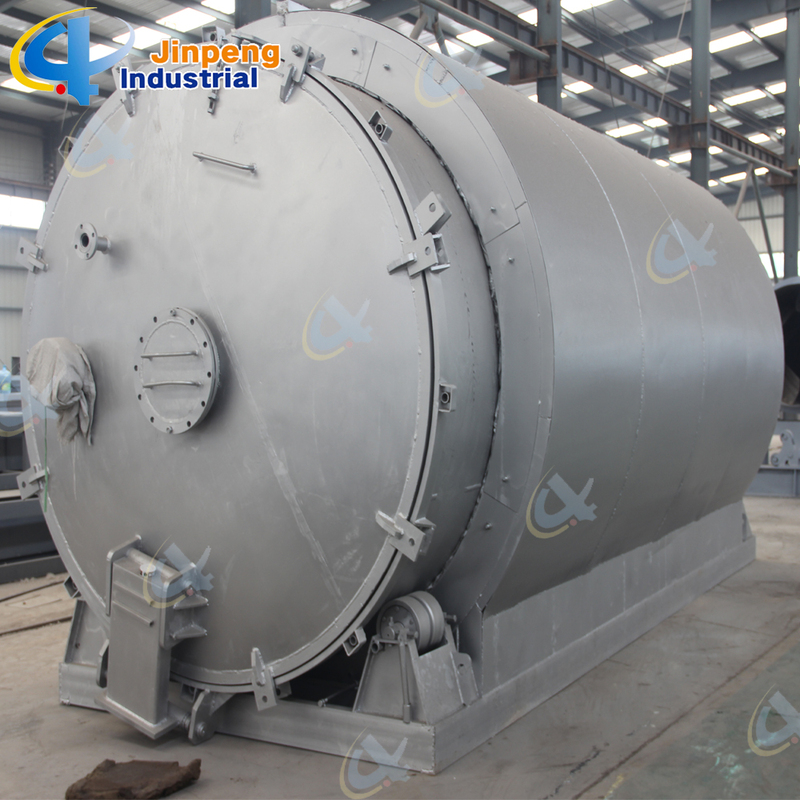 National Patent Unique Smoke Scrubbers: More efficient removal of the acid gas and dust of the smoke by neutralization, purification and absorption, environmental friendly without pollution. 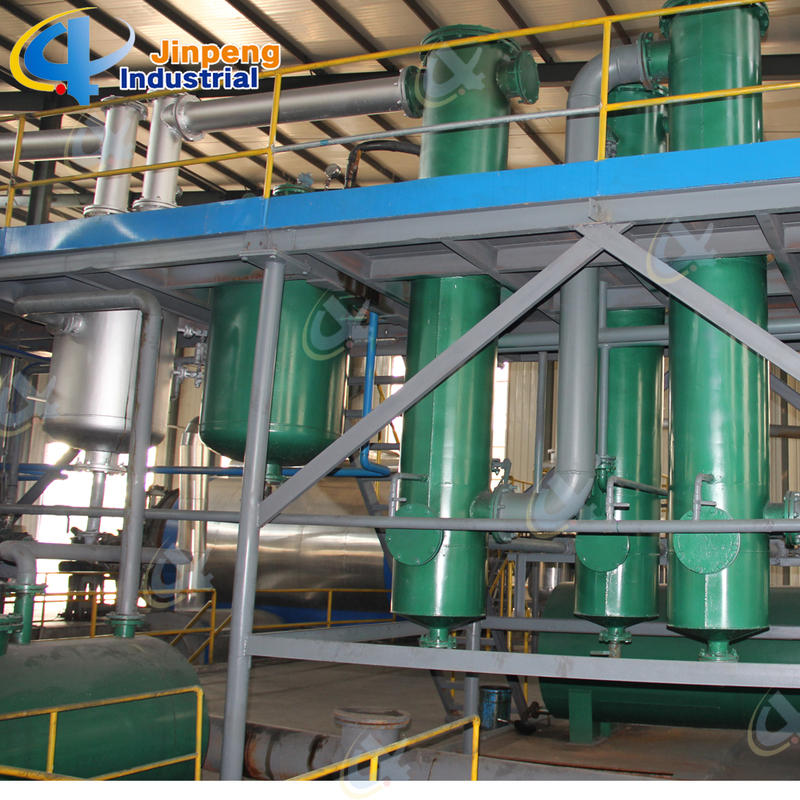 National Patent Carbon Black Discharging System: Speedy fully enclosed Auto-discharging under high temperature, avoiding carbon black pollution, saving time. 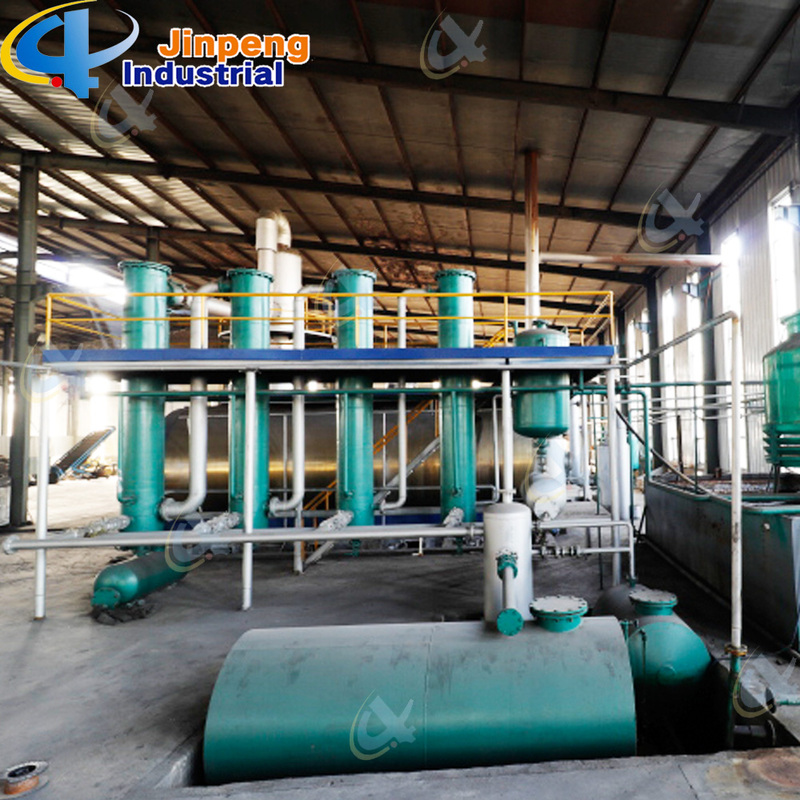 Sync Gas Recycling System: Fully burned after recycling and utilization, saving fuel and preventing pollution. 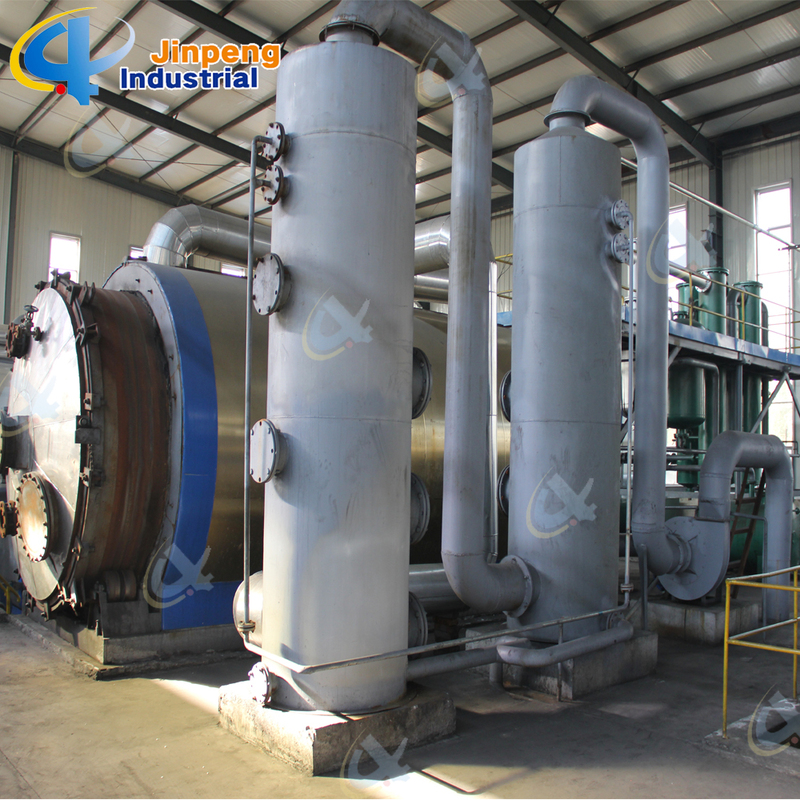 Direct Heating System: Enlarging heating square to lengthen the lifespan of the reactor and easy to control the temperature. 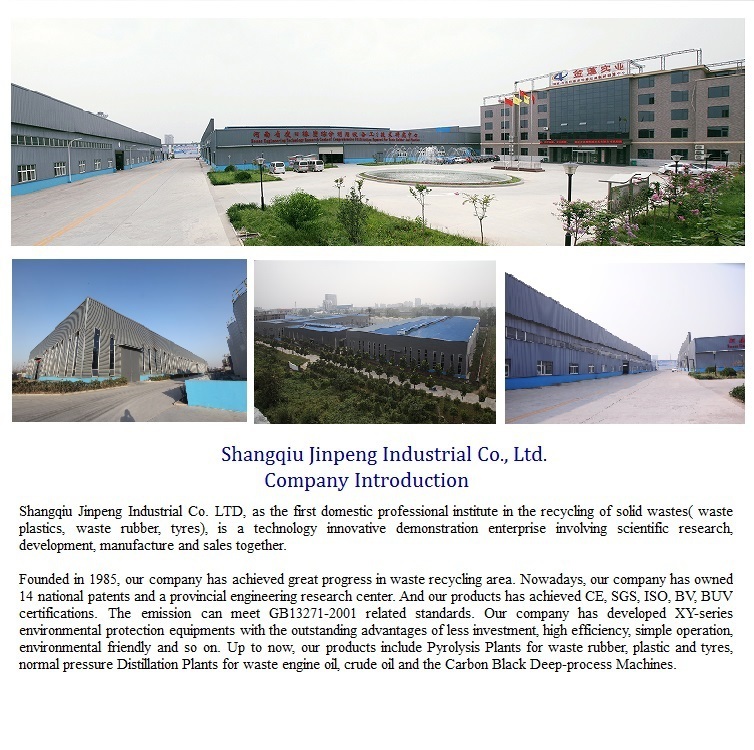 National Patent, unique heat insulation shell; high efficiency temperature keeping, excellent energy-saving effect. 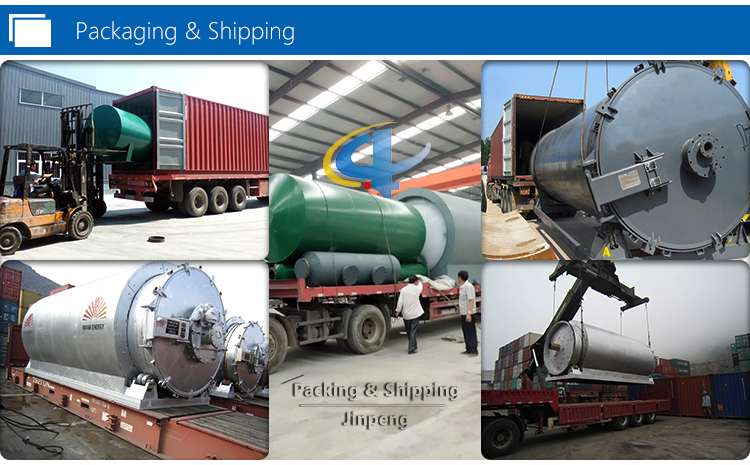 ---two heating rooms and indirect heating. 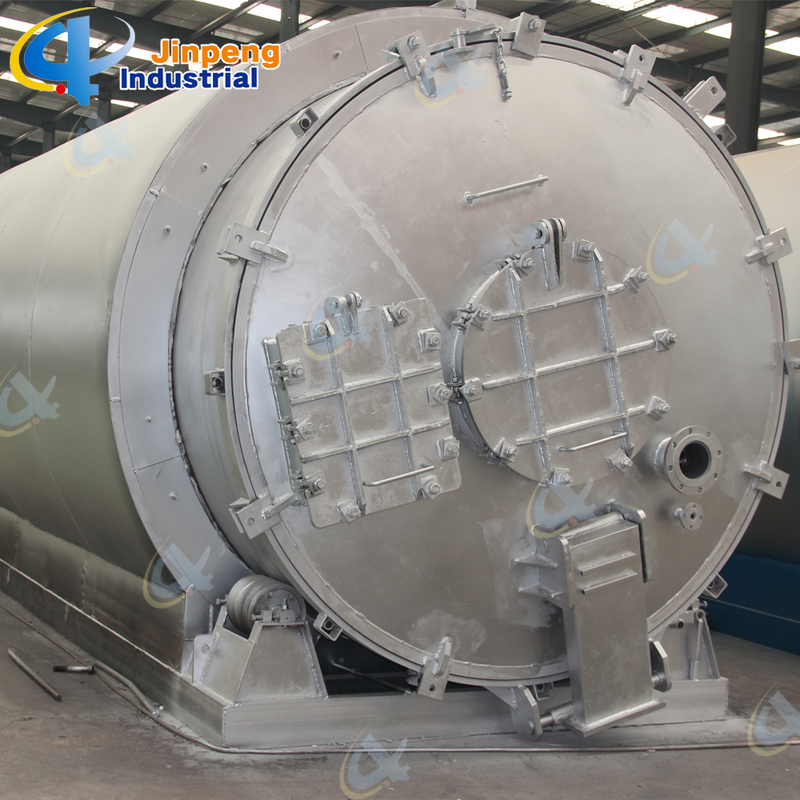 ---4 new design condensers to convert the oil gas into oil. 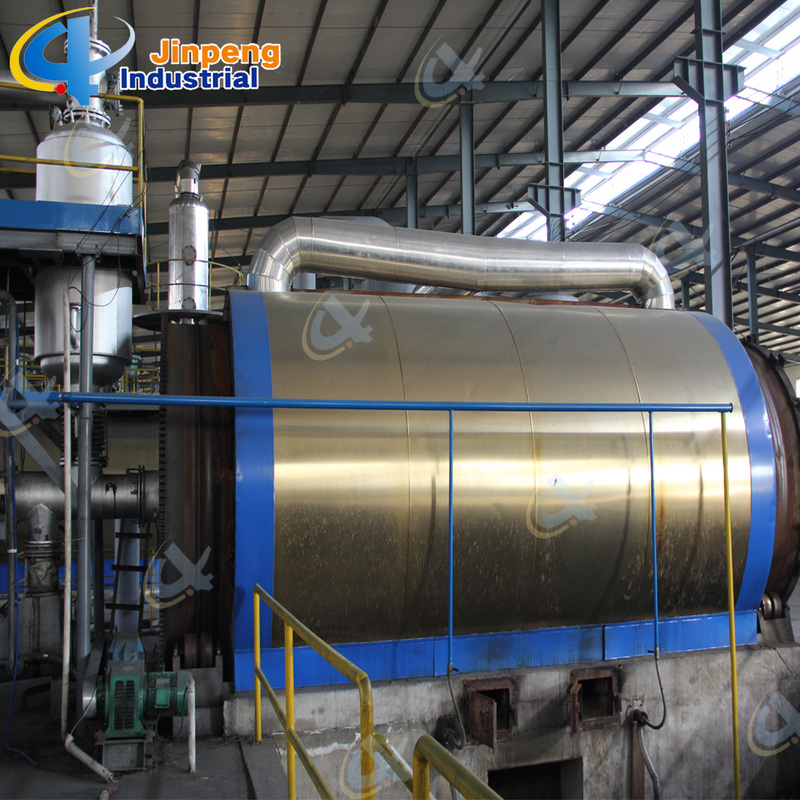 ---its function is to remove the acids,bad smell and dust from the smoke, so the smoke into the air will be clean and no pollution. 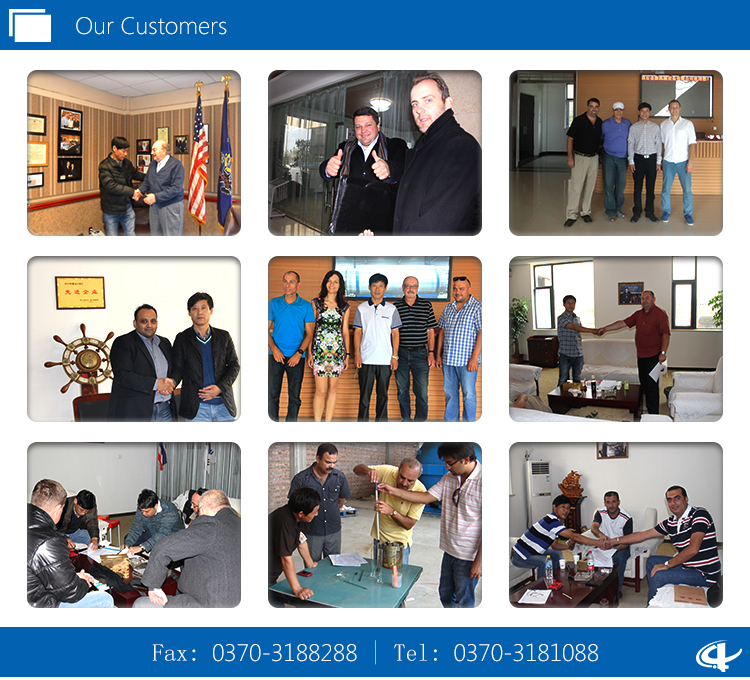 D. Use the exported package standard to avoid any damage in transportation. 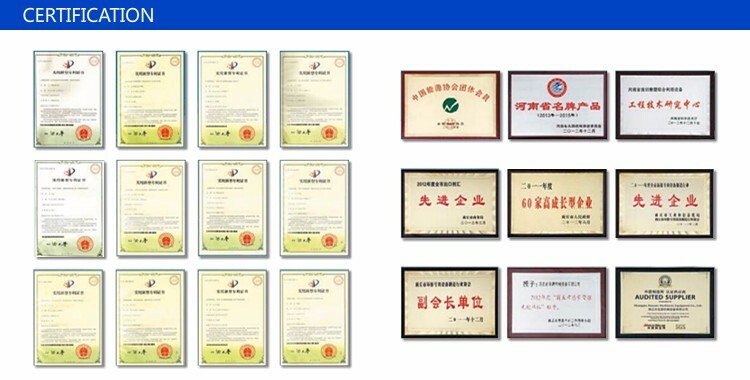 1.Quality warranty period: One year warranty for the chamber of the distillation machines,and lifetime maintenance for complete set of machines. pay the double air tickets, accommodation and food. 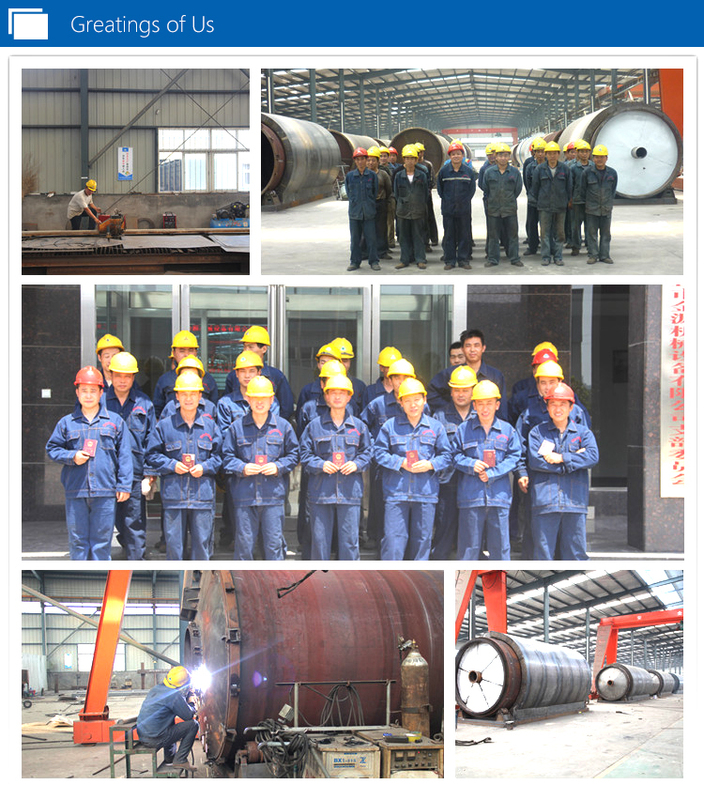 2.According to the requirement of the buyer, our company sends engineers for installation and commissioning in buyer's site including the training of skills of buyer's workers on operation, maintenance, etc.